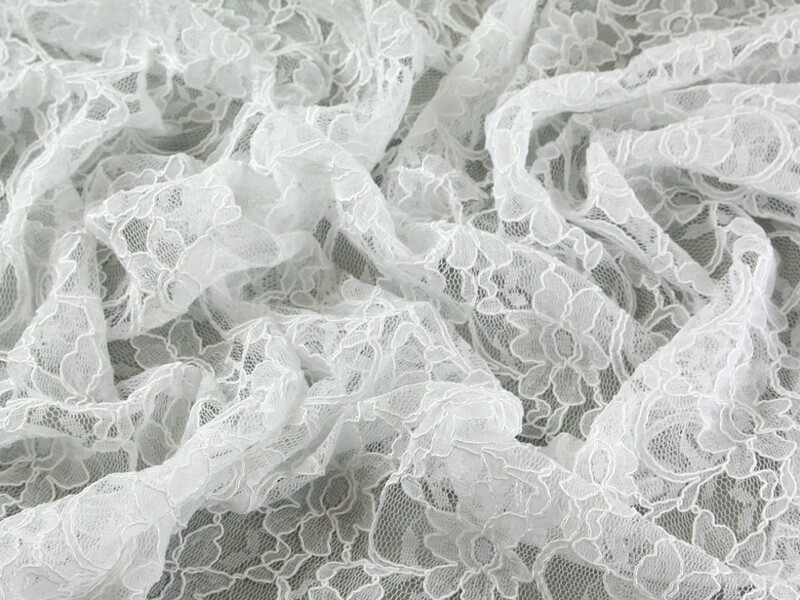 Our beautiful double flounce lace fabric is an exquisite corded lace fabric with a pretty scallop along both edges. The colours available in this range are simply stunning and will be perfect to make a statement piece for a wedding or special occasion. The finish on this lace fabric is of the highest quality and leaves no doubt about the quality of this fabric. Please note, this fabric has been photographed against a pale grey background.